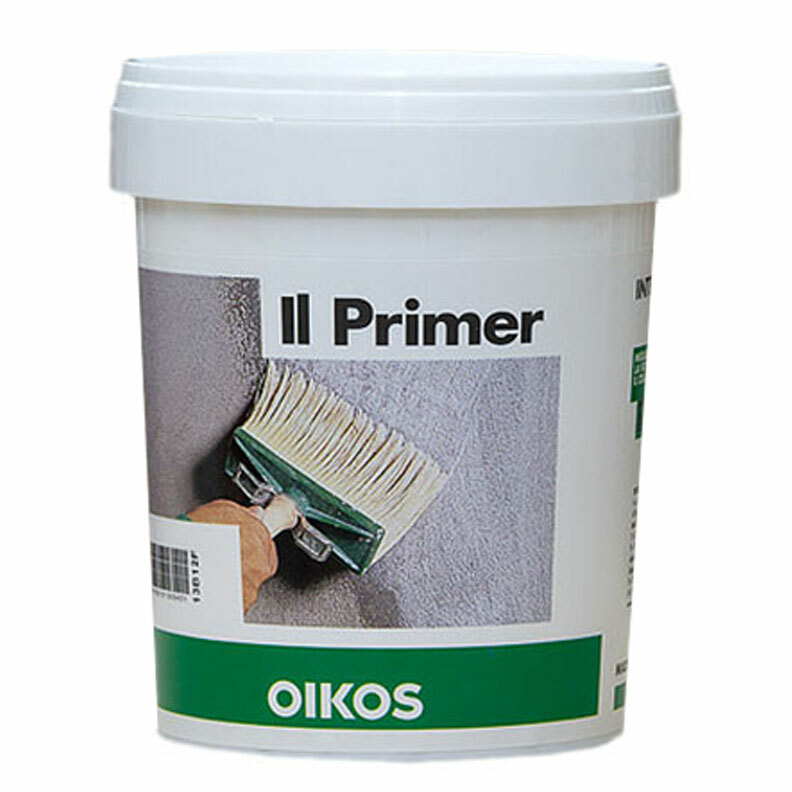 IL PRIMER is a special, infilling, adhesive primer, ideal for rustic plasterwork, civil plaster, gypsum plasters, alkaline surfaces, loose and crumbling plaster, old wall surfaces and highly porous substrates in general. 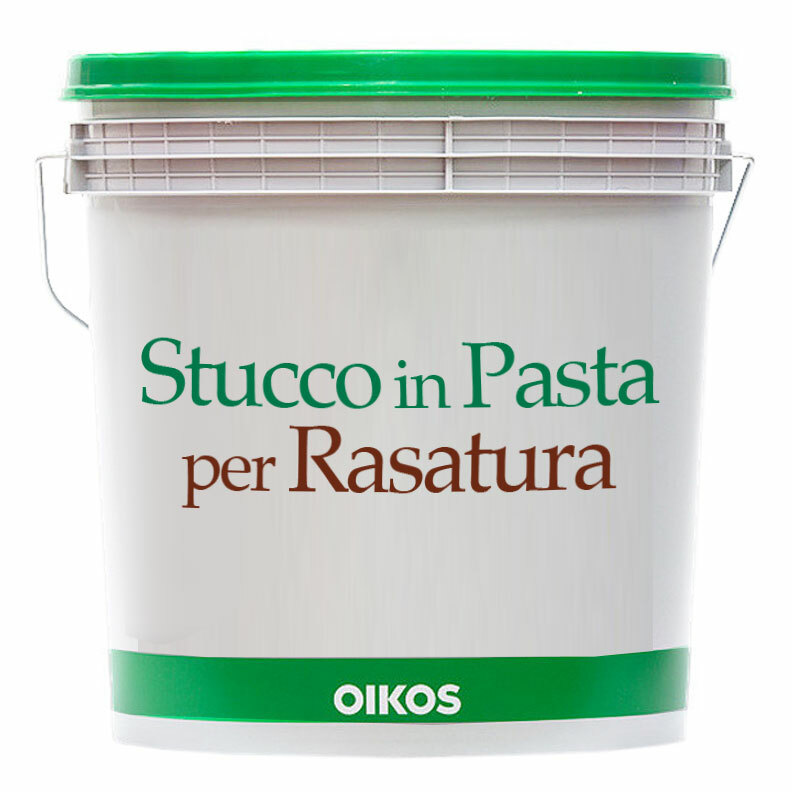 The product permeates deeply and it consolidates the substrate on to which it is applied making the plaster more compact, thus enabling easy anchorage of lime-based products, old style stuccoes, screeds, paints which are applied thickly, decorative glazes and slightly uneven, old style, decorative finishes. The product has a low level of odour, is noninflammable and is environmentally friendly. BLANKOR is a special pigmented, infilling, primer for exteriors. It consists of acrylic resins in water dispersion and titanium dioxide fillers. The product is highly pervasive, consolidates the surface and makes the absorption uniform. Thanks to its excellent hiding power, it allows saving on finishing products. 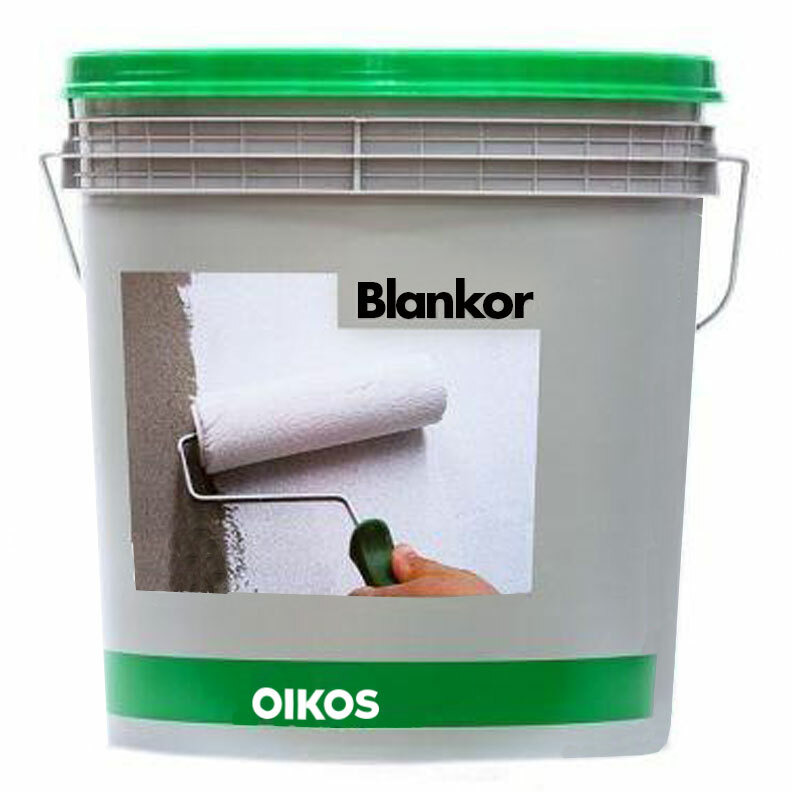 BLANKOR can be applied on alkaline substrates, civil plasters, rough plasters, old walls, chalking or highly absorbent plasters. It has a low odour level, is, noninflammable and friendly to both humans and the environment. 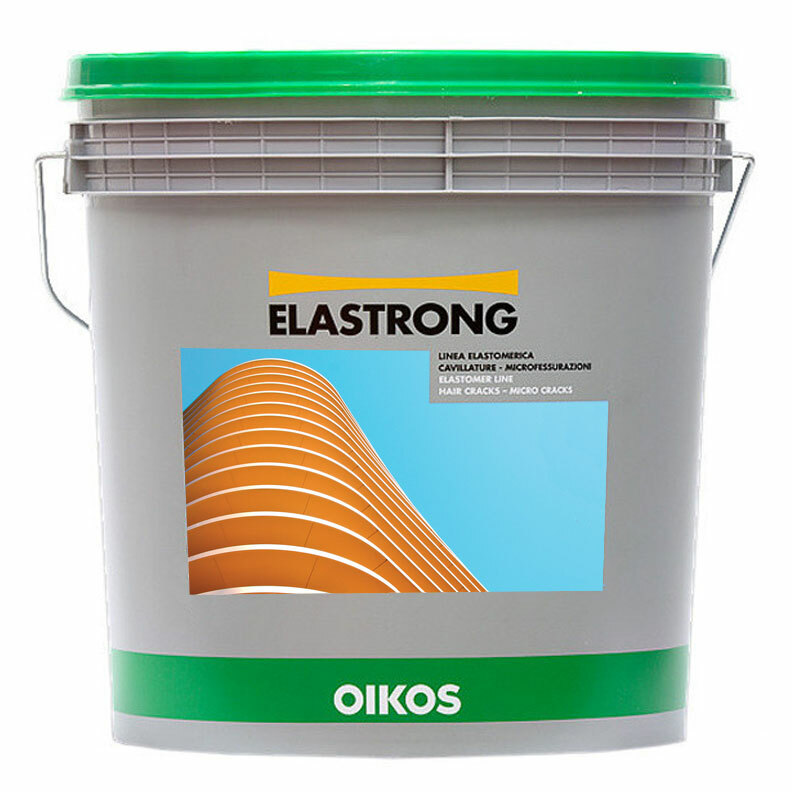 ELASTRONG STUCCO is special elastic filler for exteriors with a smooth matt finish. Its special formula consists of acrylic elastomers in water dispersion, synthetic fibers and anti shrinkage inert fillers. The product is easy to apply, has excellent adhesion to substrate and outstanding elasticity preventing at the same time the development of mould and algae. 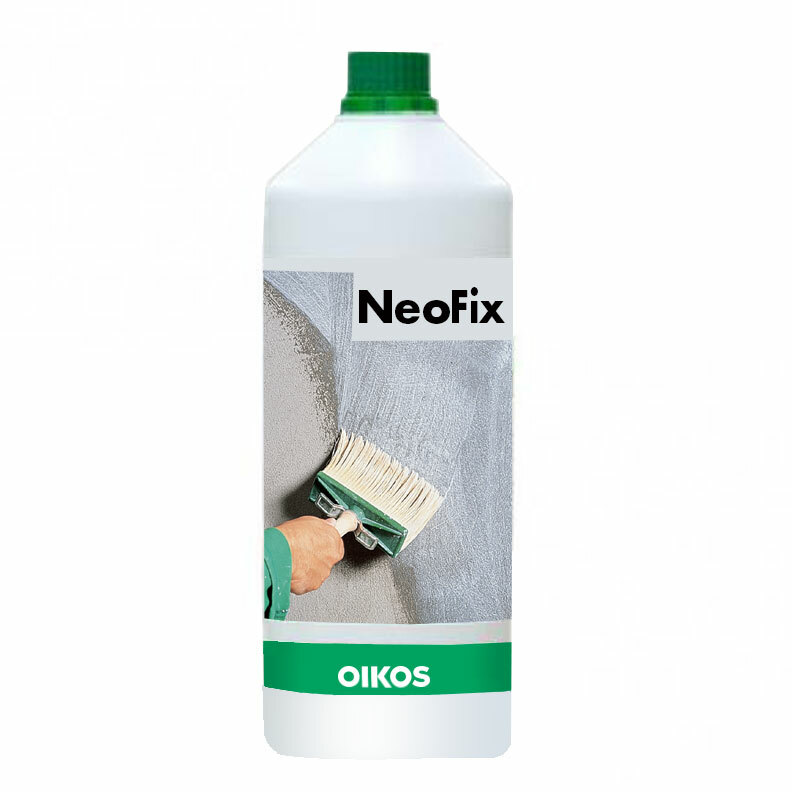 It is ideal for smoothing and filling substrates subject to cracks and fissures, on concrete plasters, reinforced concrete, prefab panels and fiber cement. It has a low odour level, is non inflammable and is friendly to both humans and the environment. 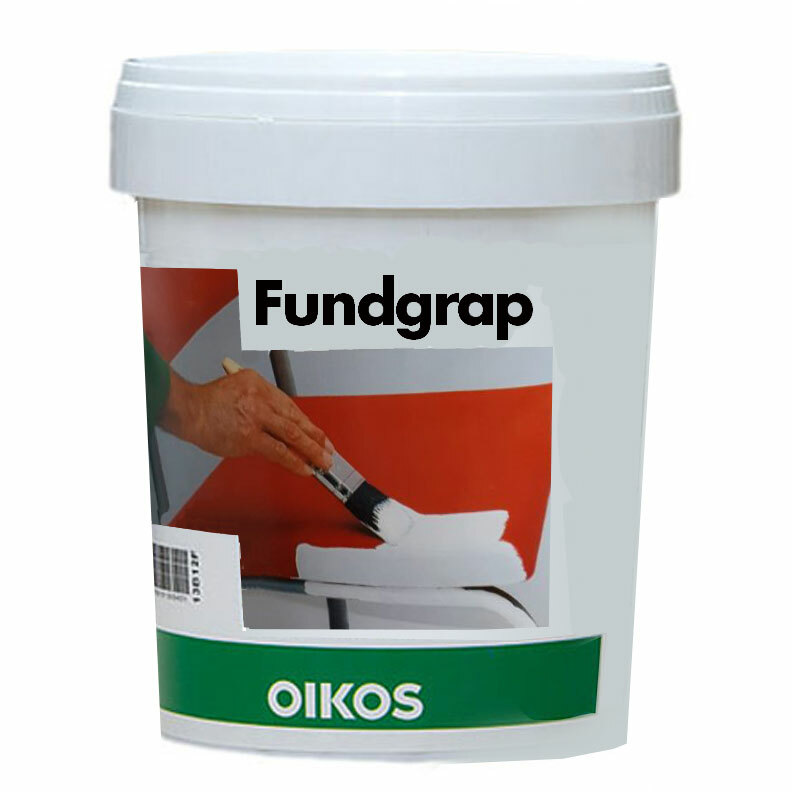 FUNDGRAP by OIKOS is a special primer, ideal for surfaces where adhesion is difficult such as zinc laminates, wood, PVC, plastic laminates and aluminum. The product conforms to the norm DIN 53 778, has a low level of odour is non inflammable and is friendly to both humans and the environment. NEOFIX is a transparent, acrylic sealer for interiors. Formulated with special acrylic resins characterized by the small molecular dimension, it is highly pervasive (up to 5 mm), thus consolidating and sealing the surface. It is particularly indicated for very absorbent walls, old plasters, gypsum screeds, fibre cement and generally all wall surfaces. The product has a low odour level, is non inflammable and friendly to both humans and the environment. 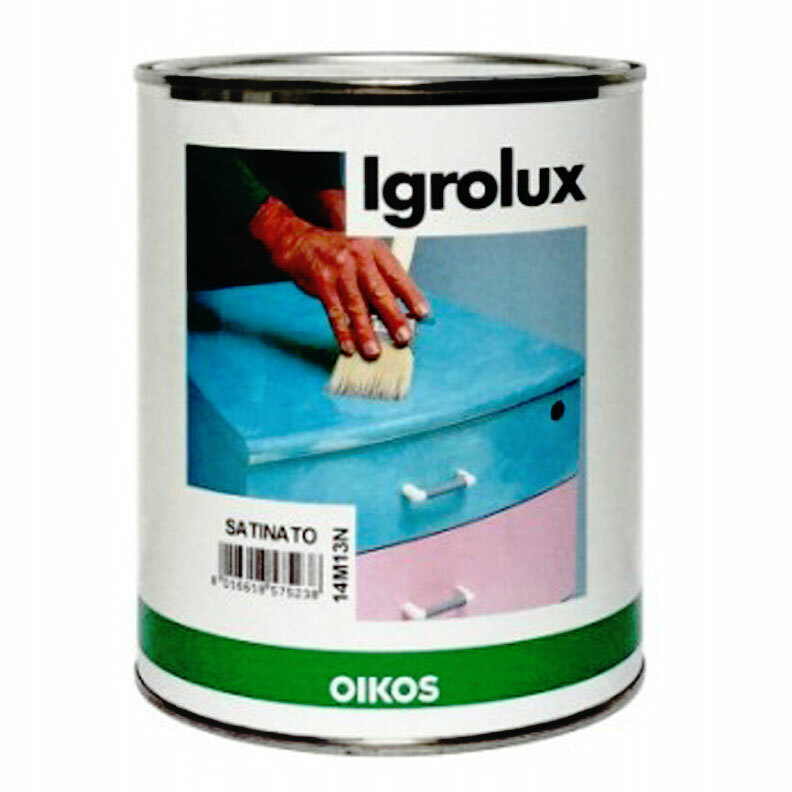 IGROLUX SATINATO is a special, low environmental impact, transparent, protective glaze which hardens once in contact with air. It is ideal for interior surfaces that are subject to abrasion It is available in gloss and satin finishes and conforms to the norms D.I.N 53 754, D.I.N 54 004, D.I.N 52 615, D.I.N ISO 4626 and D.I.N 53 151. It is odourless, non toxic, nonflammable and environmentally friendly. 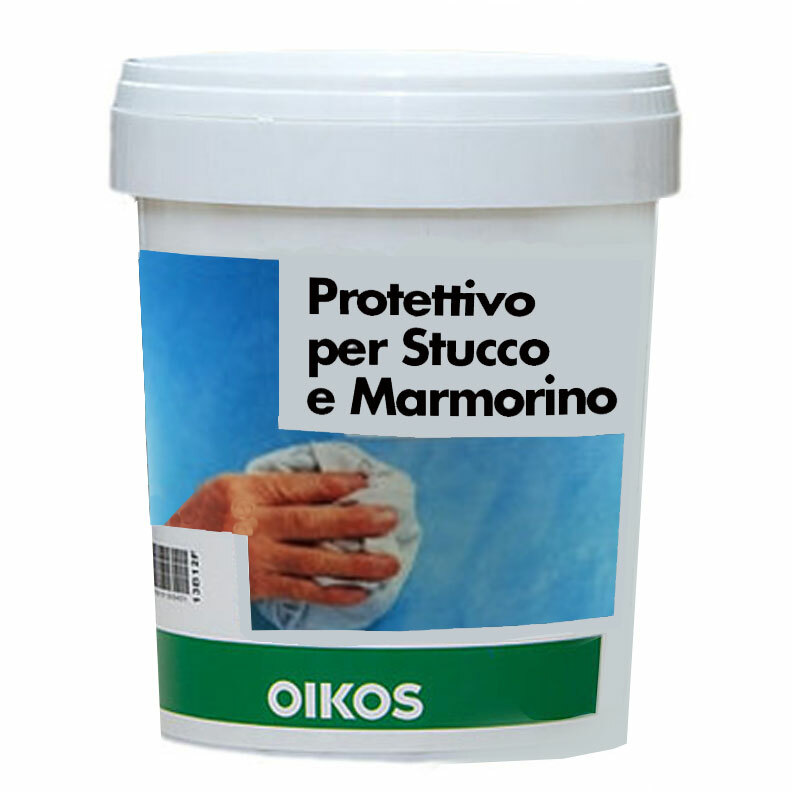 PROTETTIVO PER STUCCO is a special protective product specifically created for Raffaello DécorStucco, Raffaello Madreperlato, Coccio Antico and Coccio Cemento by OIKOS. It is made up of waxes with linear molecular chains in water solution and special additives that aid the application of the product. These characteristics make surfaces treated with the product waterproof, non-yellowing and resistant to washing and wiping. The product has a low odour level is, non inflammable and is friendly to both humans and the environment. 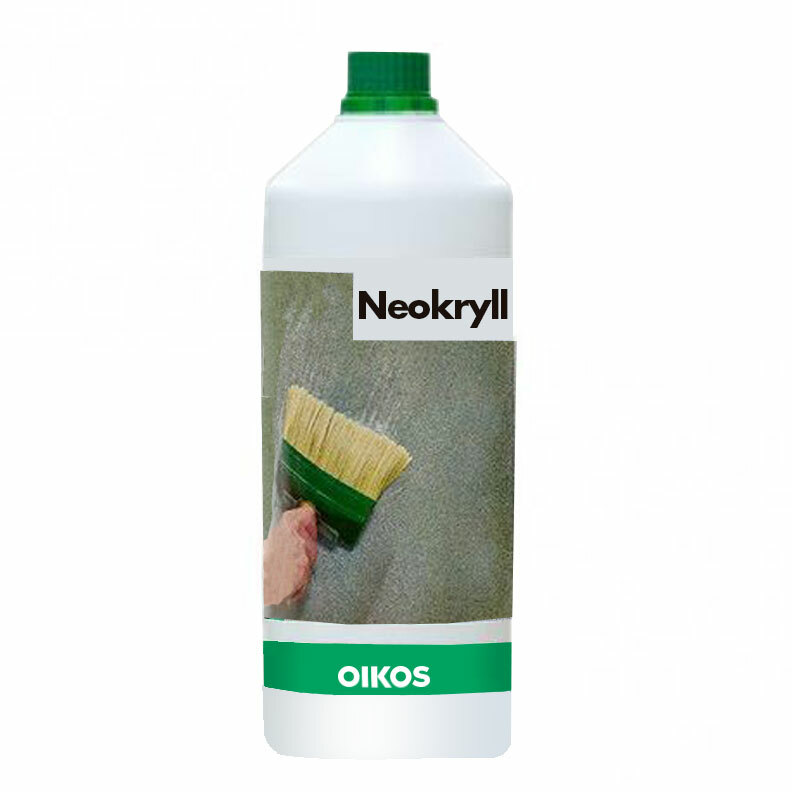 NEOKRYLL is a transparent, acrylic fixative for exteriors. Its special formula, consisting of special acrylic resins with very fine particles, makes it highly pervasive (up to 5 mm) and allows an efficient consolidation and sealing of the substrate. It is especially recommended for highly absorbent walls, chalking substrates, old crumbly plasters, plaster screeds, mineral substrates, fibre cement and in general for all kinds of wall substrates. It has a low odour level, is non inflammable and is friendly to both humans and the environment. PASTE SCREED FOR WALLS is a ready to use screed, formulated with special resins and inorganic pigments. It is easy to apply, mouldable and adheres well to the surface. Owing to these characteristics, the product is particularly suitable for screeding and filling operations on interior walls, cement plasters, rough plasters, prefab panels, and especially for walls deteriorated by small hairline cracks and fissures. The product has a low odour level, is non inflammable and friendly to both humans and the environment.